Pub Quiz Night may be the upcoming event you’re looking for. 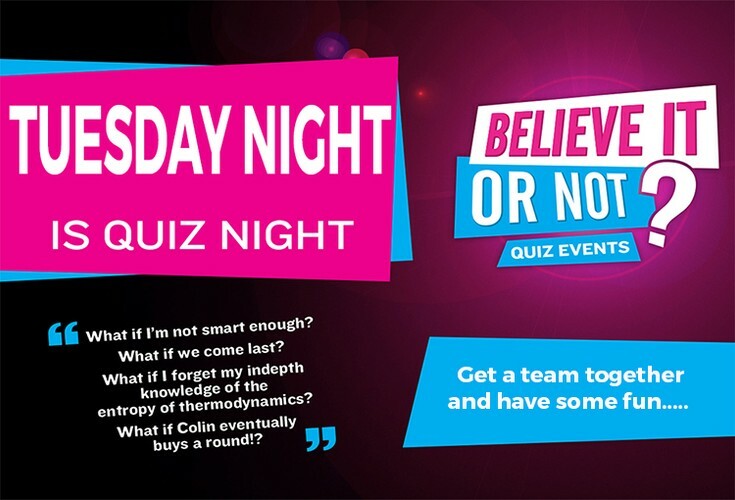 - Come and test your knowledge against the famous Believe It Or Not questions. With a pre-quiz game, and other on-the-spot prizes, and Bar Tab's, everyone can be a winner! - Come on down for Rotorua's famous RotoVegas Quiz Night.